Update and optimize your legacy systems and next-generation test needs with the open PXI platform and proven MIL-SPEC COTS solutions from Marvin Test Solutions. Accelerate test system design, development, and deployment with our ATEasy® software, offering integrated simulation, execution, sequencing, debugging, fault analysis, and more. ATEasy 10 now includes advanced features to streamline test development and execution. Customized solutions with fewer cables and less-frequent calibration, ranging from modular, scalable products to ultra-rugged, field-tested turnkey maintenance and sustainment solutions. Marvin Test Solutions provides high quality and on-time products and services that meet or exceed applicable requirements. Our Quality Management System is in conformance with AS9100D, which builds on the requirements of ISO 9001:2015 and adds additional requirements unique to the aerospace industry. Marvin Test Solutions offers expert assistance from a knowledgeable team throughout the lifecycle of the solution, from requirements definition to deployment and sustainment. 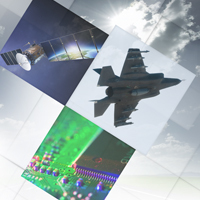 As a supplier to the aerospace industry, MTS understands the need for long-term support for both its products and systems. Our product support policy is unrivaled in the industry. Addressing legacy and future test needs for mission critical modules and systems using the PXI platform. Leveraging the PXI platform for flightline test applications. The benefits and capabilities of full featured test program simulation. In-system calibration and verification of PXI systems. Need more information? Contact us to discuss your unique test requirements and let us show you how We Make Test Easy™. Please complete the form to download a collection of complete White Papers.